The Cíes Islands is a national park located off the coast not far from the town of Vigo in Galicia. 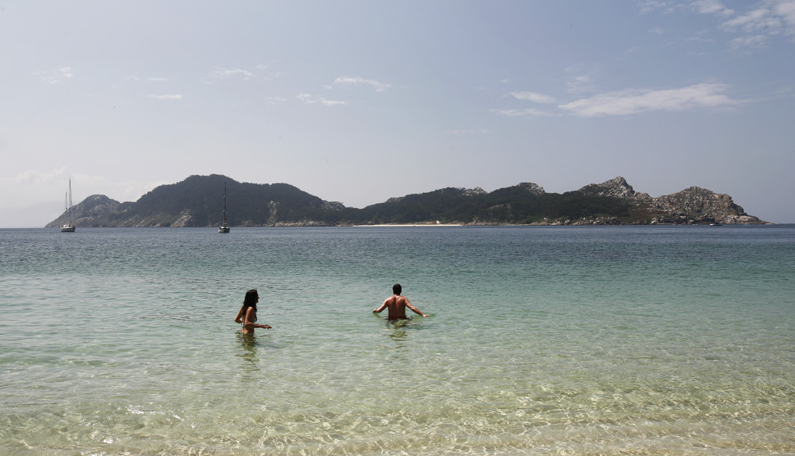 Its remote location, a 40 minute boat ride from both Vigo or Baiona, has made the island a paradise in the summer time. Fantastic beaches and generally nice weather in the summer. In the summer time there are several boats that leave each day. This makes it easy to visit the island, on a day trip, from for example the town of Santiago de Compostela. The train station in Vigo is just a short walk from the port where the boats leave for the Cíes Islands. To check train timetables, have a look at www.renfe.es and have a look at this webpage from the local tourist office for updated time schedules for the boats. For those interesting in staying the night on the island, the camping on the Island is your only option.